Sony MDR-EX650AP review | What Hi-Fi? Considering brass has been used to make musical instruments for centuries, it’s a little surprising that it rarely features in the construction of hi-fi components. Perhaps that’s about to change, because the Sony MDR-EX650 in-ears are all about the brass. Both the internal sound path, which carries sound from the 12mm-driver directly to your ears, and the enclosure itself are constructed using trombone material. It’s certainly striking. To us, it’s a bit too gold and bling - and by current in-ear standards, there’s quite a lot of earphone here, but these are very comfortable to wear. The rounded end of the driver enclosure nestles snugly at the bottom of the ear and pushes the bud into a position that’s far enough in to create a sound isolating seal, but not so far in as to be intrusive and uncomfortable. 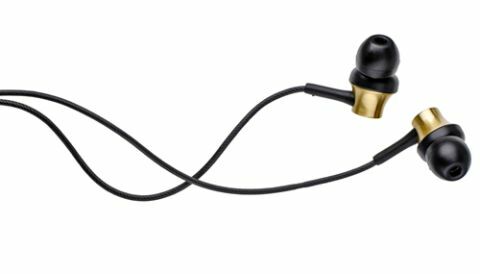 These are snug, secure and easily the most comfortable earphones we’ve had on test. The sound is just as pleasant – we start with Taro by Alt-J and the vocals are immediately engaging; focused, but given space for that ethereal element to breathe. The soundstage is open and expansive, and as instruments and other vocals come in, they’re placed expertly throughout, creating an overall presentation that’s fabulously immersive (the physical noise isolation helps here, too). We switch to the infectious rhythm of Bombay Bicycle Club’s Luna, and the ‘EX650’s prove to be punchy purveyors of pop beats, too. Drums are precise and snappy, the skittering synthesiser sparkles at the top, and towards the bottom end you’ve got a bassline with weight and tonal balance – it underpins everything, but never drowns out the range. The tonal balance here is beautifully judged. There are some earphones around this price that will offer just a touch more detail and a marginally fiercer attack, but those will also expose any recording flaws and can become tiring to listen to over time. That’s not the case here – these Sonys will happily turn their hand to just about anything, effortlessly finding that balance between the details and the overall flow. It’s worth pointing out that there’s a mic and remote unit at around chin height on the left cable of these ‘phones. The remote is one-button, so while it lacks volume buttons, it means the earphones are happy with Android, iOS and BlackBerry devices. It’s also worth noting that there are four different-sized pairs of buds in the box, along with a soft carry pouch that should afford your new earphones a bit of protection in your bag or pocket. Flaws? There really aren’t any. For fit, function and sonic form the MDR-EX650s are nearly faultless for the money.